I have bee, unsuccesffuly, working in TestDisk for a few hours now to try and repair my Lenovo Twist HDD. The laptop started acting up so I took the drive out and connected it to my desktop which is Win 8.1. 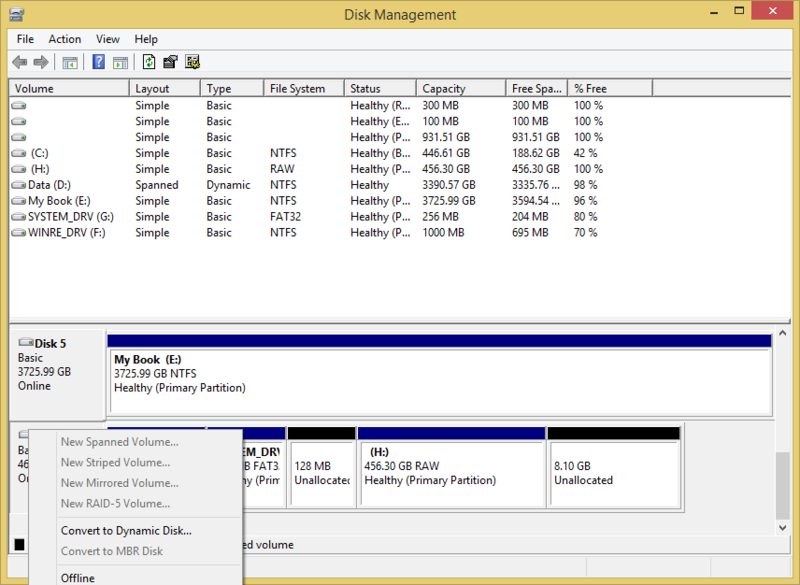 My desktop recognized the HDD and all the partitions but the data partition is considered RAW in the Disk Management. I have been able to recover the data from the drive using TestDisk but I really wanted to get the partitions working again so I can just plug it in to the Lenovo. 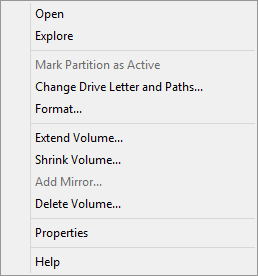 I am at a loss as to have to get the partition back working. Here are the screenshots of what I have done...at this point I don't know how to go further. Did you use TestDisk 64bit? It's recommended to use currently TestDisk 6.14 final and the 32 bit version. Raw means, partitions are available but either you have a problem with your boot sector or file system. Testdisk displays something, that your disk might be a GPT-Disk? Windows doesn't display GPT-disks correctly. Please use your your windows disk management console and right click into the left little square and make a screenshot from the context menu. It helps determinig either you have a GPT disk or it's an Intel MBR. Uploading a testdisk.log, you should zip it or you can open it using for example wordpad and copy and paste the content into your next post. 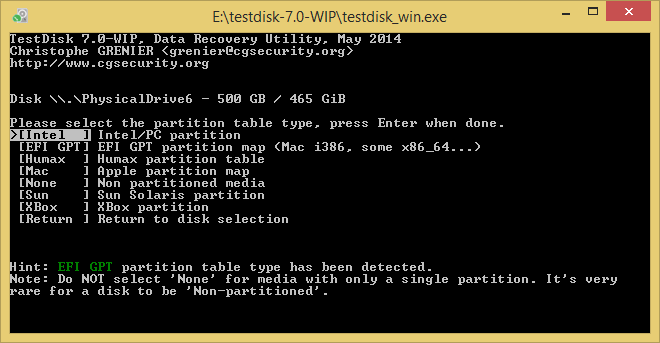 If all partitions in your partition table are correctly available, you can use testdisk/advanced to diagnose it. I did use TestDisk 64bit above. Switched to TestDisk 6.14 final 32bit now. 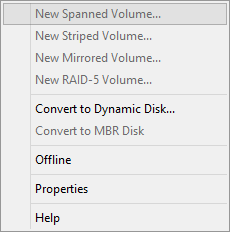 Windows disk managment IS showing all the correct partitions. Thank you for your infos! Lokks like, that you have a Laptop using UEFI (extensible firmware interface). 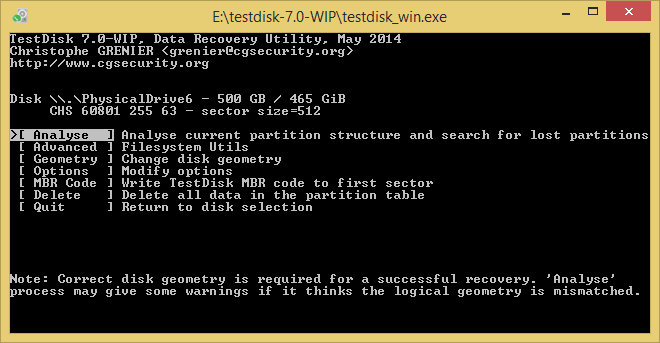 That's why your GPT disk looks correct. UEFI-Laptops are coming more and more. Something where I've to get used to. I've had a look into your log file. 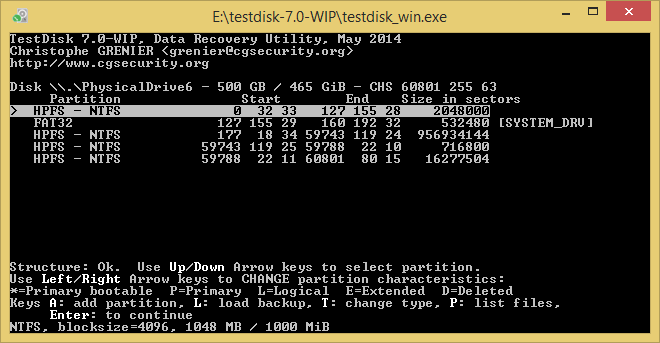 Your GPT partition table contains only one EFI-GPT partition using your whole disk. 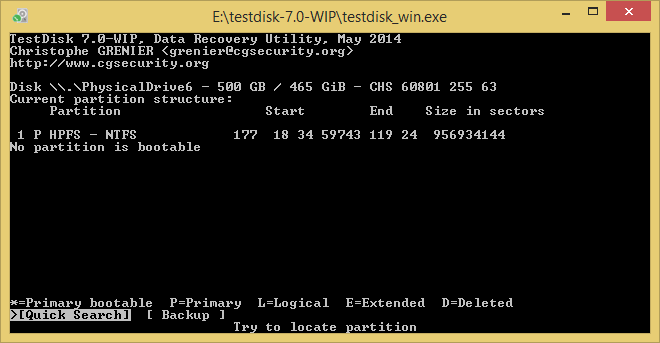 Strange thing is, that your disk management console displays all your partitions. That's why is difficult for me to determine to write your GPT partition table again. Only in case, if it's necessary. Quick Search finds your partition structur and all labels of your partitions are available. But your [Windows8_OS]-partition looks faulty! Failed to calculate number of free MFTs: Input/output error. file_pread(10,16,buffer,12529664(779/238/36)) ReadFile Data error (cyclic redundancy check). file_pread(10,16,buffer,12529672(779/238/44)) ReadFile Data error (cyclic redundancy check). file_pread(10,1,buffer,12529672(779/238/44)) ReadFile Data error (cyclic redundancy check). You're able to list your files. I recommend before you run any chkdsk and and any other systemtools aigainst your disk, you should copy/backup your files first. When you list your files, at the bottom of your screen you'll find all the copy commands. You should use another healthy partition or disk to have a try to copy your data to. You'll get one directory up until you get to your disk selection. Choose your appropriate disk and folder. Standard folder is normally the testdisk folder. Mostly, you'll find your important files like music, pictures etc.. under users and your profile. So you can avoid to copy unnecessary files. To copy broken or damaged files can cause problems or hang? 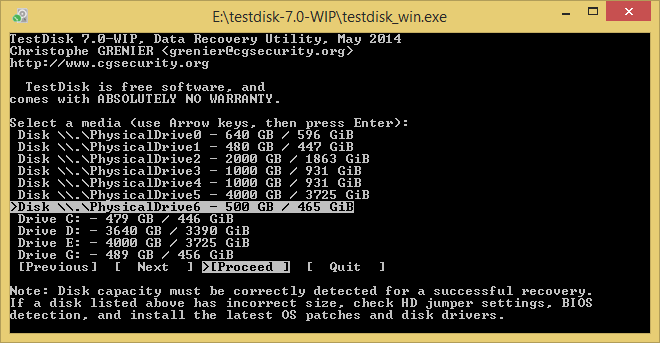 If you were backing up your data you can try to run chkdsk against your affected partition [Windows8_OS]. It's a try to repair your file system. As long as you'd like to recover data it's not recommended to modify or change anything to your file system.